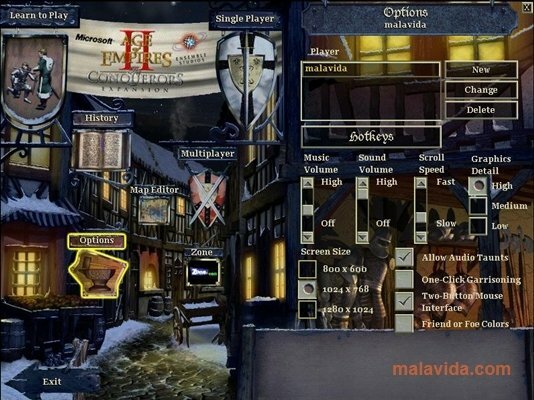 If you enjoy strategy games on your PC, you will surely know the masterpiece by Ensemble Studios, Age of Empires II. 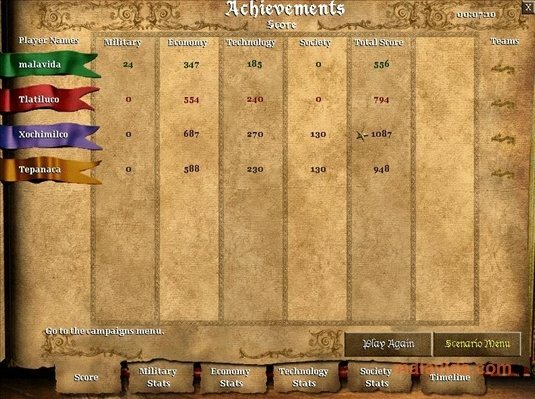 A game that marked a milestone in RTS development, that with The Conquerors expansion has almost reached perfection, becoming an instant classic. If Age of Empires II was already an incredible strategy game, The Conquerors expansion made it even better due to the fact that it optimized dozens of details that made the playability of the game even better than before. The Conquerors adds several new civilizations like the Spanish, the Huns or the Aztecs, as well as optimizing the Artificial Intelligence of those that already existed beforehand. It also adds 11 new units, 4 new campaigns and 26 new technologies. Furthermore, each civilization has a unique technology with the intention that each player can take advantage of both the strong points of his own civilization and the weak points of his enemies. One of the major improvements has to be the peasants' AI, with added preset tasks so they didn't wander about doing nothing, something usual when the battle requires maximum attention. Now a peasant that gathers resources, won't stop when the resources he has in front of him finish, he will look for more. The trial version only allows yo to play with two civilizations.